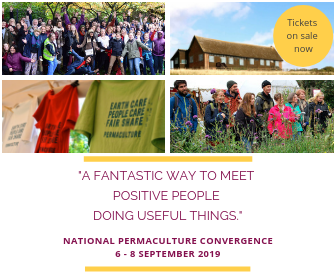 Come join us for an amazing Permaculture Design Certificate Course in Central Portugal, on a stunning site committed to sustainability, featuring countless examples of sustainable living strategies and techniques. Owned and run by Wendy Howard, eco-builder, gardener, biologist, ecologist, activist and pioneer in the region. Quinta do Vale is part way up a mountain in the Serra do Açor, part of Portugal’s principal mountain range. It’s about 75km (45 miles) inland by road from the university city of Coimbra, Portugal’s 12th century capital, and 100km (62 miles) inland from the Atlantic ocean. Its 2-ish hectares (5 acres) of steeply-terraced land lie between 360-420m (1,200-1,400 feet) above sea level. The land is predominantly north-facing, forming a rough S-shape around a northeast-running river valley. It’s sheltered by mountain ridges to the south and west, and to a lesser extent to the north. Slopes vary between 30-45°. The major biome type is warm temperate with climate classified as US Zone 9 and Köppen-Geiger borderline Csa/Csb (warm to hot summer Mediterranean). Annual rainfall averages just over 1000mm. No apprentice teacher places available on this course.